The Marquette Academy Booster Club is responsible for all funding for our Grade School Athletics and all things associated with sports grades 3-8. Friends of the Knights Sign is a fundraiser that our Elementary Booster Club does once a year. Please consider being a Friend of the Knights! Download the form here. 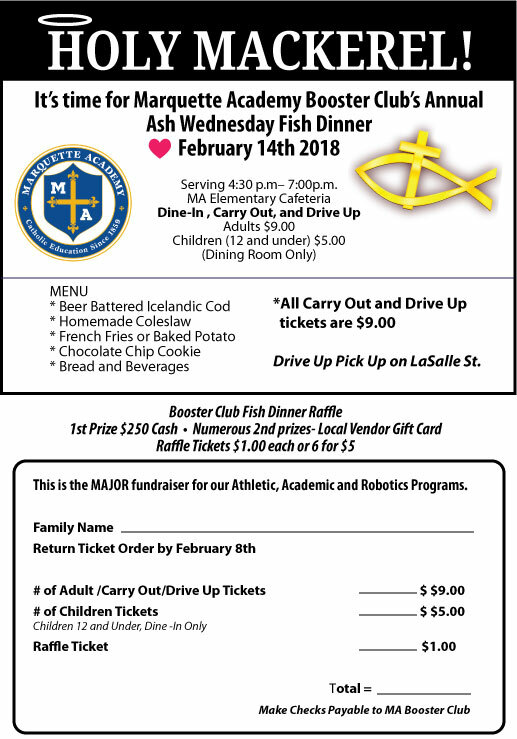 FISH DINNER - is Ash Wednesday, February 14, 2018.